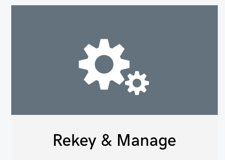 If you have an SSL certificate hosted on your GoDaddy hosting or GoCentral account, and you need to change the domain name, you will need to uninstall your SSL certificate before you can change the domain name. 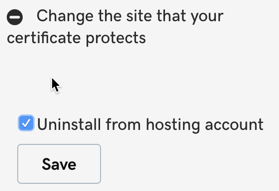 Click Change the site that your certificate protects, select Uninstall from hosting account, and click Save. Please allow 24 to 72 hours for your certificate to uninstall. Unterstützt GoDaddy Drittanbieter-SSL-Zertifikate auf seine Produkte?